The installation of exhibitions always requires a lot of glass to be moved in a short amount of time. Although our preparators are excellent at moving glass without damage, sometimes gravity happens. During the installation of our Making Ideas exhibition that opened May 19, the fuse was broken off of one of the glass bomb prototypes designed by Steven and William Ladd. Luckily it was just one break and the piece was treated in time for the opening. 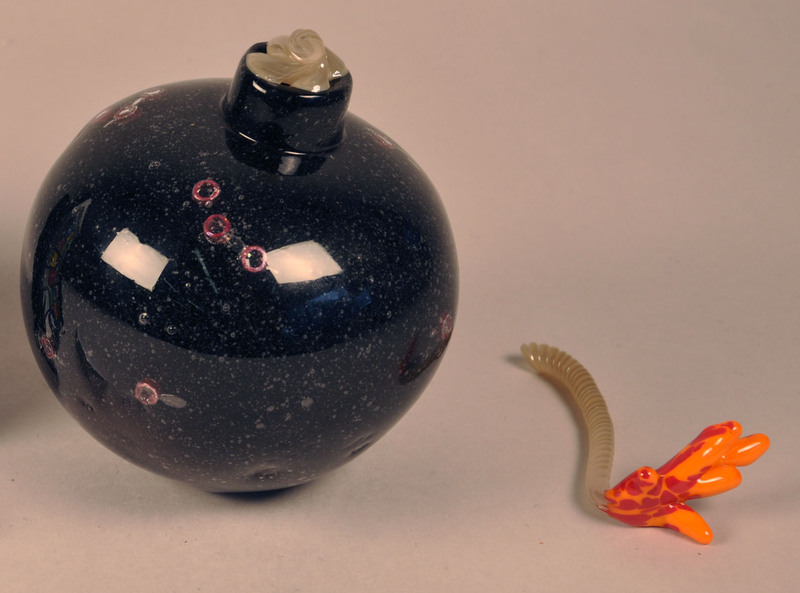 Glass bomb prototype with the broken fuse before treatment. 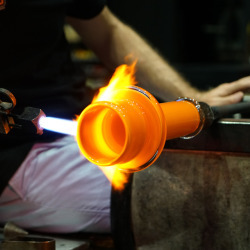 Glass bomb prototype during treatment. The bomb had to be positioned in such a way that the fuse would stay where it needed to be because the adhesive we use takes a long time to set. If you visit the Museum, look for the bomb in the Making Ideas: Experiments in Design at GlassLab exhibition, now on view through January 6, 2013. 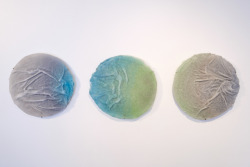 Hello – I was woundering what type of adhesive you used on this piece. During the installation of our Making Ideas exhibition that opened May 19, the fuse was broken off of one of the glass bomb prototypes designed by Steven and William Ladd. Luckily it was just one break and the piece was treated in time for the opening. 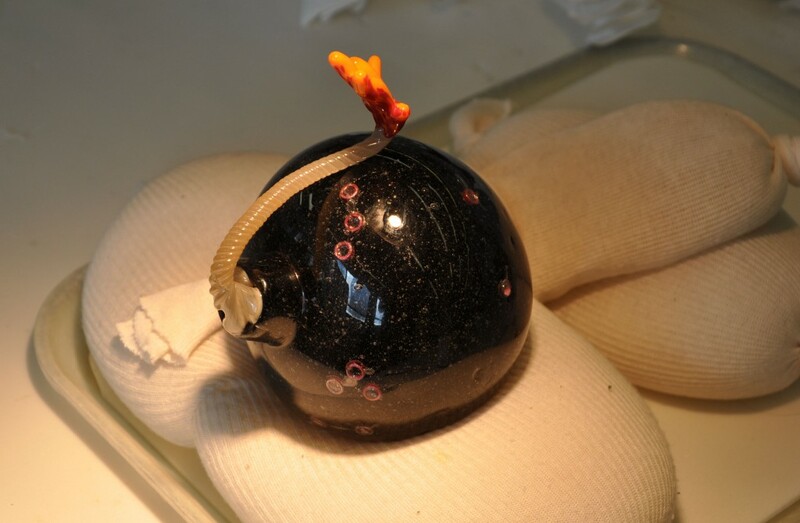 —Glass bomb prototype during treatment. The bomb had to be positioned in such a way that the fuse would stay where it needed to be because the adhesive we use takes a long time to set.